James Alan Montgomery was born in the Germantown section of Philadelphia on June 13, 1866. He attended the Episcopal Academy in suburban Philadelphia before enrolling at the University of Pennsylvania in the fall of 1883 as a freshman in the Class of 1887. During his years as an undergraduate at Penn, Montgomery earned a number of prizes for his academic achievements, including the Freshman Greek Prose and English Essay Prizes, the Junior Greek and English Essay Prizes, as well as first or second honors each year. According to the 1887 yearbook, he was a member of a number of class committees, the Philosophical Seminar, and Zeta Psi fraternity. A member of the Greek Play Committee, Montgomery had the role of Euripides in the College’s 1886 production of The Acharnians. As far as athletics, he was a member of the Racket Club and his class Tennis Club. He was also one of the first editors of The Pennsylvanian, the precursor to today’s Daily Pennsylvanian. Following his graduation from Penn, Montgomery worked for two years as an instructor in Hebrew at the University while he was studying at the Philadelphia Divinity School. Soon after his graduation from the Philadelphia Divinity School in 1890, he was ordained as a deacon in the Protestant Episcopal Church. After he was ordained as a deacon, Montgomery continued his studies abroad by taking classes in Germany at the Universities of Griefsward and Berlin. When he returned to the United States in 1893, he was ordained as a priest in the Protestant Episcopal Church that same year. During his career as a minister, Montgomery led services at churches in Center City and Germantown, served as the assistant minister at the Church of the Holy Communion in New York City, and founded St. Paul’s Church in West Philadelphia. Montgomery made more of a name for himself through his academic work than he did through his work with the Episcopal Church. In 1899 he was hired as an instructor in Hebrew and the Old Testament at his other alma mater, the Philadelphia Divinity School. 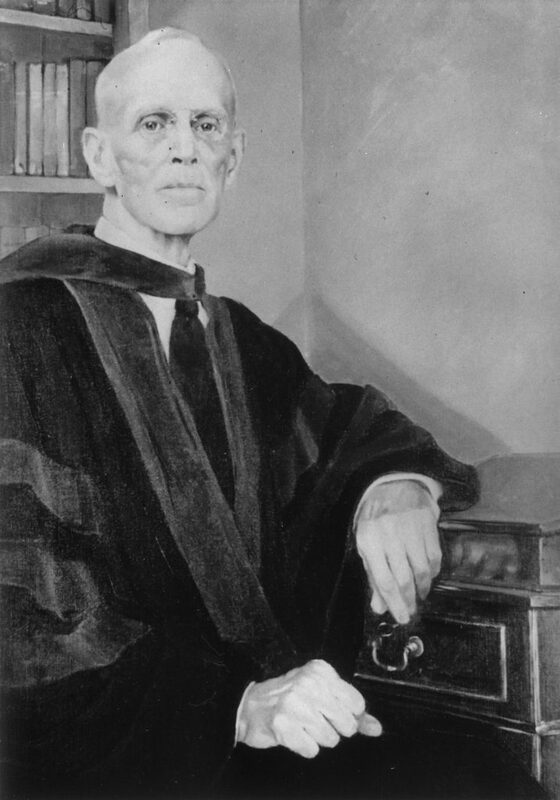 Montgomery eventually progressed to the rank of professor and taught at the Philadelphia Divinity School until 1935. Soon after he began teaching at the Philadelphia Divinity School, Montgomery returned to Penn for post-graduate study. He earned his Ph.D. in 1904 and was given the honorary degree of Doctor of Sacred Theology (S.T.D.) in 1908. The following year, Montgomery was named lecturer on Semitics at Penn, and then one year later, assistant professor of Hebrew and Aramaic. In 1914, he was promoted to professor of Hebrew and Aramaic, a position he held until he was named Emeritus Professor of Hebrew and Aramaic in 1938. During his distinguished academic career, Montgomery made a name for himself in the fields of Semitics and Oriental Studies. Although he was an ordained Episcopal priest, his religious beliefs did not prevent him from concluding that science proved that the world did not start when the Bible claims it did. Montgomery was a member of a number of learned societies, the Biblical Literature and Exegesis Society, The American Oriental Society, and the German Language Society among others. He served as the president of the American Oriental Society from 1926 to 1927 and edited the journal of that society from 1916 until 1921 and again in 1924. He served as the president of the Biblical Literature and Exegesis Society in 1918 and edited that society’s journal in 1910, 1911, 1913, and 1914. Montgomery’s academic excellence was noted by a number of academic institutions outside of his alma mater. He was asked to serve as the president of the American Schools of Oriental Research and did so from 1921 until 1934. In 1928, he received the honorary degree of Doctor of Divinity (D.D.) from the Episcopal Theological Seminary in Cambridge, Massachusetts. In 1939, Montgomery was honored by Princeton University when he received the honorary degree of Doctor of Letters (Litt.D.). Montgomery received his last honorary degree in 1945 from Hebrew Union College in Cincinnati, Ohio. It was a degree of Doctor of Hebrew Letters. Montgomery authored a number of books on the Orient and the Middle-East; his works were, for a number of years, considered by scholars in the field to be the most complete and well-researched publications on that subject. Montgomery’s family was also very involved with Penn. Of his seven siblings, four attended Penn; and of his three children, two, James Alan Montgomery, Jr., and Newcomb Thompson Montgomery, earned degrees from Penn. James, Jr., earned the degree of Bachelor of Laws (LL.B.) in 1928, and Newcomb Thompson earned the degree of Bachelor of Architecture (B.Arch.) in 1931 and the degree of Master of Architecture (M.Arch.) in 1933. Montgomery died on February 6, 1949, at his home in the Germantown section of Philadelphia.